While in Kansas several weeks back I was able to make it to the Wichita Museum of Art :http://wichitaartmuseum.org/. They had some nice things and I liked the local flavor to their collection. You know, it seems the Midwest REALLY likes the Washington artist Dale Chihuly – likely because how could you go wrong with beauty and glass? 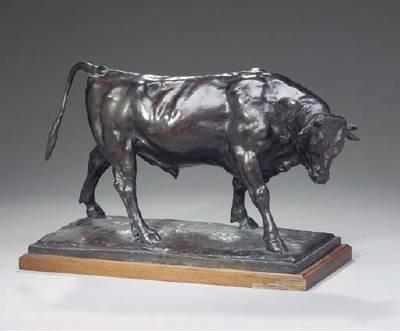 There is a work of his at this museum, the Museum in Manhattan at K-State, and at Oklahoma’s art museum- I thought that was kind of intriguing. The WAM did have some very nice American artists I admire including a work of Robert Henry, John Sloan, John Singleton Copely, and a piece by Mary Cassat. In addition I bought a mighty fine t-shirt from them. 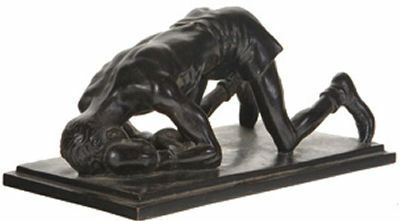 I found a very curious sculpture called “The Old Wrestler” by Harry H. Wickey (1892-1969) while looking at their permanent collection. The piece reminded me of the French sculptors who were doing images of field workers and minors during the realist art movement. The figure had a very human quality to it. Sorry I didn’t photograph it for you- your stuck with the little image of it from the museum – but it’s an image none the less…. This entry was posted in Go Here! 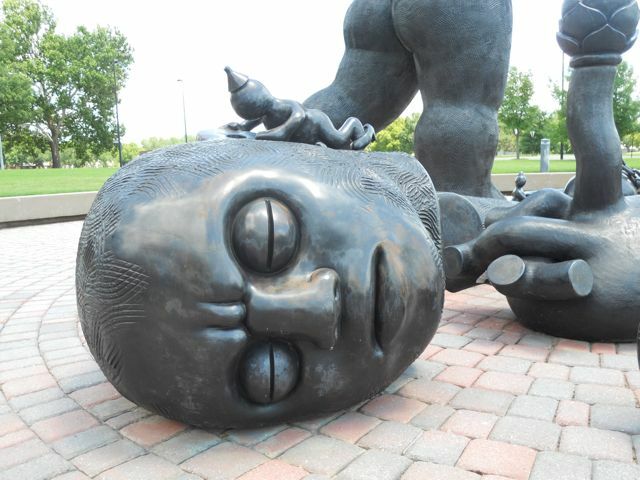 : and tagged boxer sculpture, bull sculpture, Harry H. Wickey, Tom Otterness, Wichita Art Museum, wrestler sculpture. Bookmark the permalink.